Looking to promote change in how men and boys think and talk about women’s empowerment and gender equality, the United Nations is hosting at its New York Headquarters a two-day high-level “Barbershop” event, which this afternoon [15 January] focused on initiatives that aim to support non-sexist male attitudes and behaviours between men. 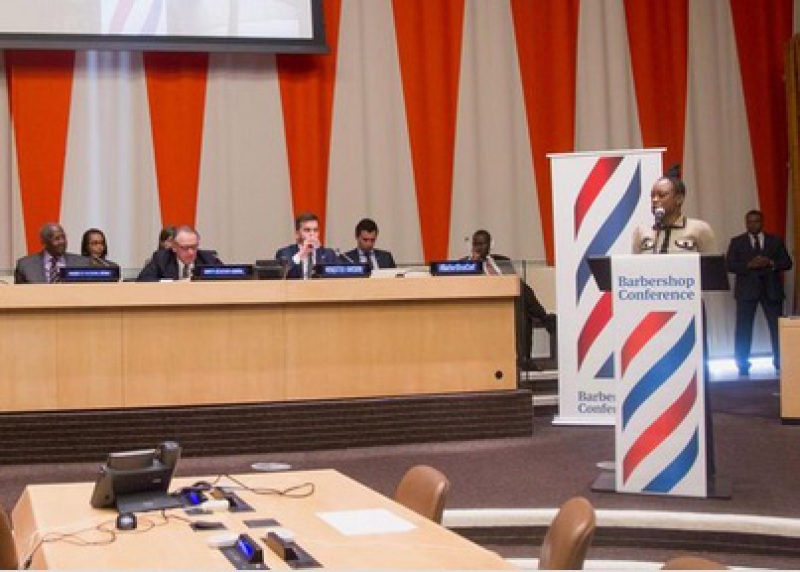 The Barbershop Conference aimed at reflecting the casual setting in which men get their hair cut, while delving deeper into gender stereotypes perpetuated by social norms, and helping dispel the fallacy that women and girls cannot be equals in the economic, social or political life. The event also highlighted that while historically women and girls have led the fight against gender inequality, discrimination and gender-based violence, the recent UN HeforShe initiative encourages men and boys to stand at forefront of the global discourse. “Today’s Conference is a creative way of moving the dialogue into uncharted territory,” said Sam Kutesa, President of the UN General Assembly, who was joined at the event by UN Deputy Secretary-General Jan Eliasson, Executive-Director of UN Women Phumzile Mlambo- Ngcuka, several UN Ambassadors, Ministers, civil society representatives, journalists, and activists, as well as entertainers. “Increasingly, the world has come to recognize that achieving gender equality will require the active participation of all segments of society and that men and boys have a critical role to play,” said Mr. Kutesa, noting that he was happy to add his voice to the Barbershop initiative and also make the empowerment of women and girls a key priority of his General Assembly session. Among other things, the initiative aims to supports non- discriminatory and non-sexist male attitudes between men, commit to discussing the role of men in realizing gender equality within the UN, and further engage men to end violence against women and girls. 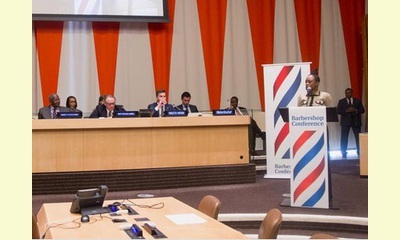 “This must be the biggest barbershop conversation ever,” Deputy Secretary-General Jan Eliasson said, emphasizing that today’s discourse came at an opportune time to “jolt our thinking” as the world prepares to marks the 20th anniversary of the Beijing World Conference on Women, held in 1995. . . Closing the first day of the conference, the head of UN Women, Ms. Mlambo-Ngcuka, said today’s Barbershop is about breaking social norms that oppress women and restrict men and boys. And the HeforShe campaign is about both men and women getting outside of their comfort zone. “It is not enough to be a good boy and a good man in a bad system. Our challenge is to change the system because a bad system will always bring a good man down,” she said. This report was posted on January 26, 2015.